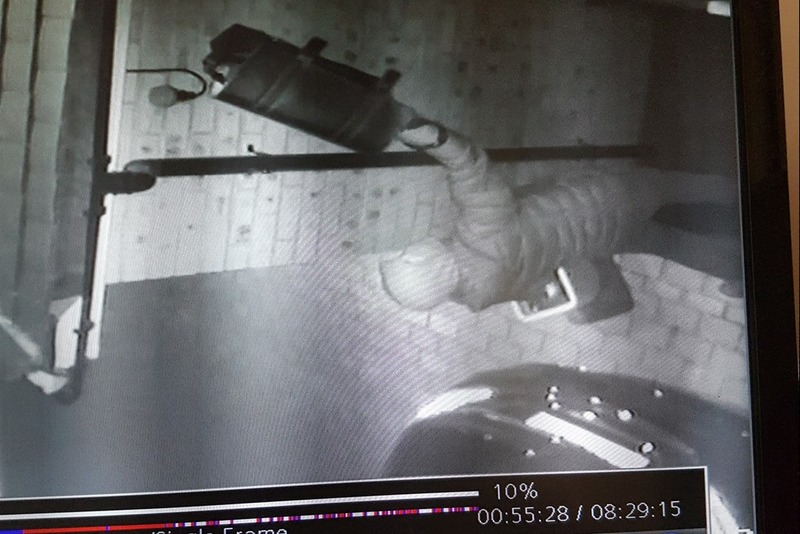 With CCTV footage released last week of thieves using a laptop to hack an estate agent’s car keys in her kitchen before then driving off in her £35,000 Mercedes-Benz C-Class C220, experts have offered a unique piece of advice to protect yourself from a similar fate. 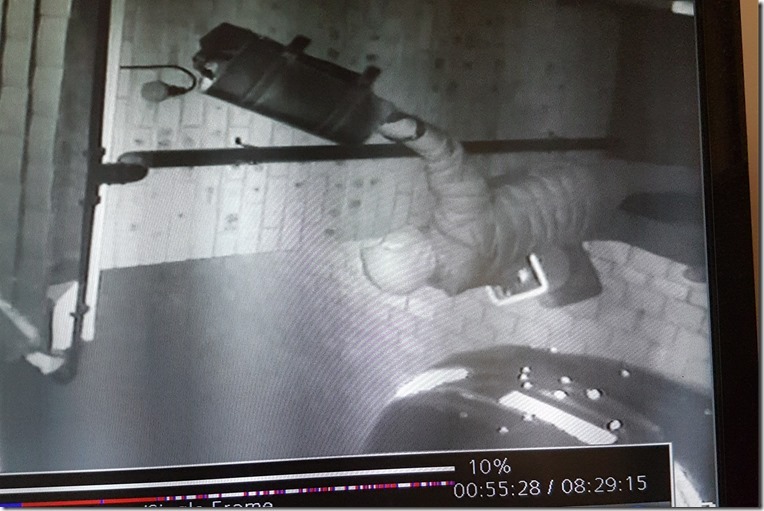 Paige Foster of Grays, Essex, said that after noticing her car was missing she proceeded to look through the CCTV footage as she called police and was shocked when she spotted two men walk onto her driveway. One hooded figure could be seen holding a leather case, believed to contain a laptop loaded with military software, up against the wall. 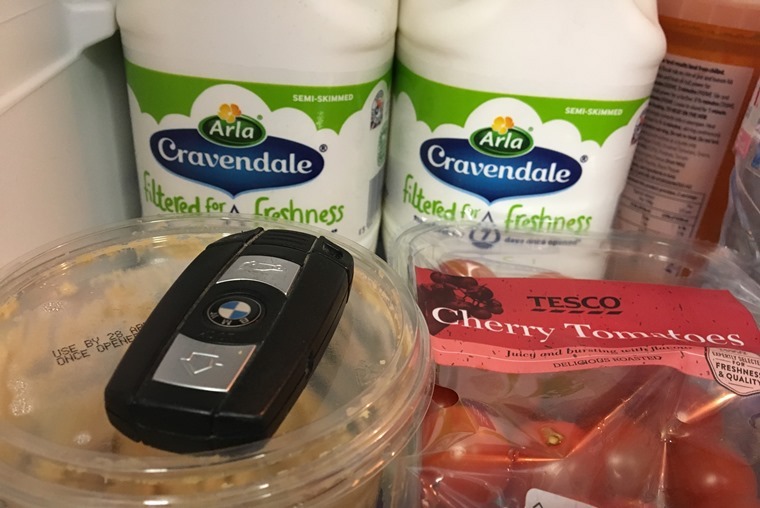 Within minutes the car door has been opened and the luxury vehicle is driven away despite the fact the keys remain in the kitchen. Having reported the incident to the police, Paige contacted her insurance company who noticed a HPI vehicle background check had been run on the car six days before it was stolen. In the aftermath Mercedes-Benz has helped in trying to track the car down but it appears the tracker has been deactivated. It might sound daft and a bit paranoid but storing your keyless fobs in a fridge or microwave could be the answer. The metal in the devices actively prevents thieves from hacking the signals emitted by fobs, precisely what happened to Paige Foster. If you don’t like the possibility of accidently putting your keys in your sandwich while sleepily making them the night before work, a simple metal lock-box will have the same effect.